The Oceanic nation of New Zealand have joined the ranks of countries that have not only initiated but completed a ‘digital switchover’, after their last analogue TV signals were formally shut down in the early hours of yesterday (1 December). Claimed to be a dawn of the new era of ‘digital-only television’, the switchover event, held at the ‘Waiatarua transmission site’ in West Auckland, featured appearances from New Zealand’s broadcasting minister Craig Foss along with the Going Digital campaign‘s official mascot ‘Seymour the Digital Dog’, as analogue signals to the ‘Upper North Island’ catchment area were given a permanent shut-down, with digital terrestrial TV now set to be the standard for free viewers. Going Digital’s ‘national manager’ Greg Harford said of the switch: “The shut-down of analogue TV services across the Upper North Island, ends a three-year campaign to migrate viewers to digital TV services. He added of the implications of the switch, and of how New Zealanders in the recently-altered area and beyond who have not already changed their viewing methods can be assisted: “The nation has gone digital in four stages over the past 15 months, and from today Upper North Island viewers will only be able to watch TV if they have Freeview, Sky or Igloo. While not all viewers have made the transition, experience from other parts of the country suggests that those who have not gone digital ahead of the deadline will do so over the coming days. – former recipients of the Veteran’s Pension or Invalid’s Benefit who transferred to New Zealand Superannuation at age 65 or after. 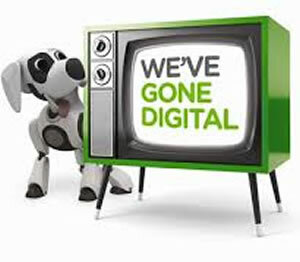 Going Digital’s ‘Targeted Assistance Package’ has shut down in the Hawke’s Bay and South Island areas, though the North Island are still able to call in for assistance with the switch (with the Lower’s help service ending on 3 January 2014 and the Upper’s on 1 March), so while a fast-paced change to a unified platform should in theory become a positive long-run, will making analogue obsolete be the right call made by New Zealand and many other nations?